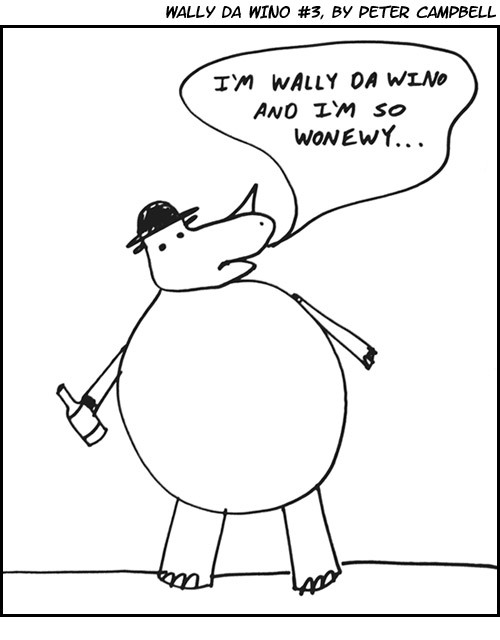 What's your favorite thing about Wally da Wino? Mine is that he's representative of the human condition. That and his funny little hat.